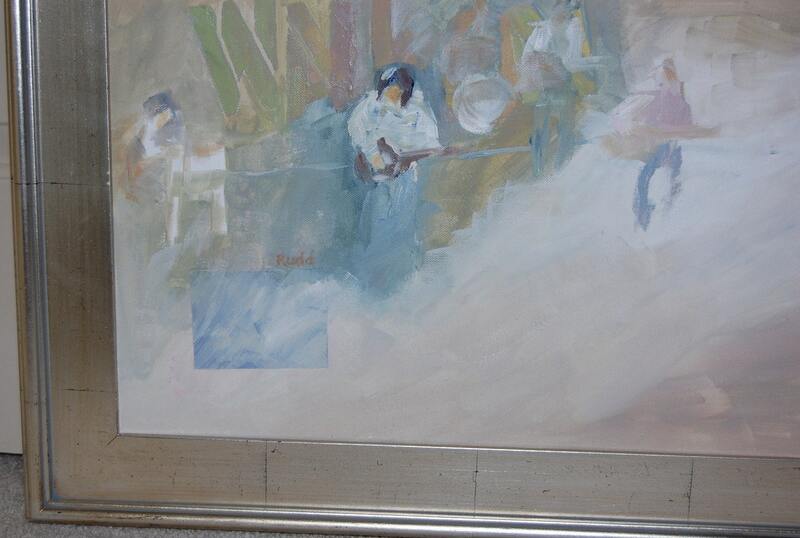 Musicians in a band, semi-abstract. 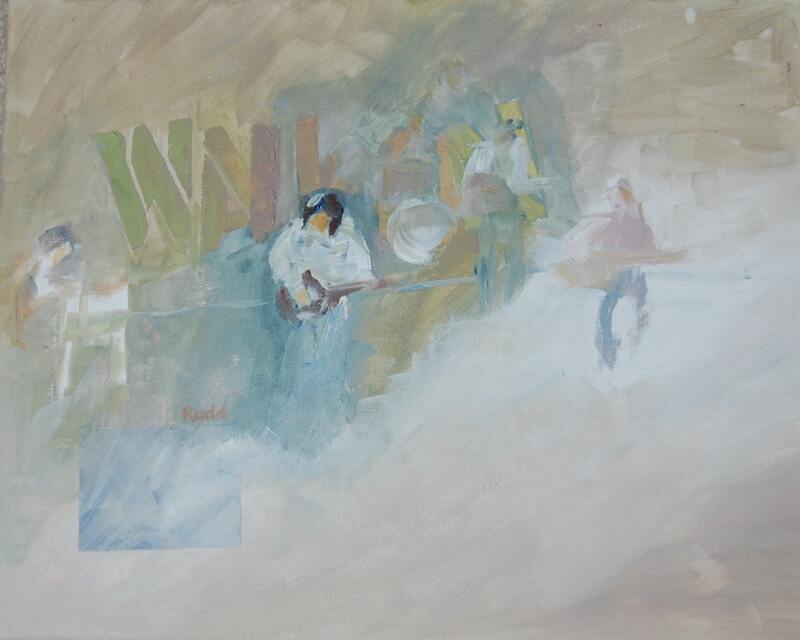 This painting is based on a 1970 media photo of Neil Young and Crazy Horse. Image size: 16 x 20"
Framed size: 22 x 26"